Instagram has become one of the most used social networking sites all over the world and with over 1 billion users, it has become one of the best places for achieving fame and popularity. All the international cricket teams (including the associate nations as well) have their official Instagram handle, which is used by them to update their fans about the team's development. 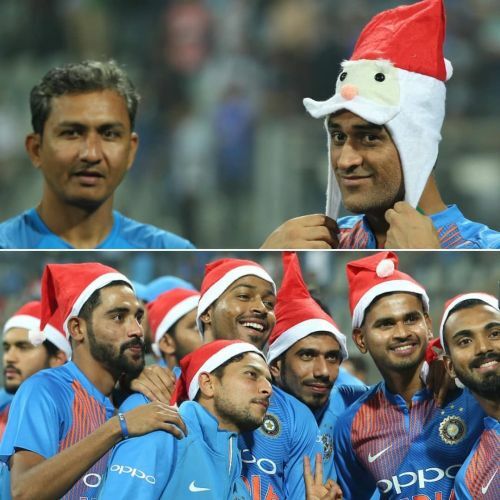 The teams share the players' on-field and off-field photographs to engage with the fans and the fans always make sure they follow their favourite teams on Instagram. The South African cricket team's Instagram account has just 12,000 followers more than Australia and 13,000 followers more than New Zealand on Instagram. This shows that all the 3 teams have almost equal number on fans on the social network but the Proteas managed to edge out the Trans-Tasman rivals to be ranked fifth on this list. South African players have a lot of Indian fans, for AB de Villiers and Faf du Plessis are as popular in Bengaluru and Chennai as in Durban and Johannesburg. The South African team has failed to win any major titles in cricket of yet but it is the spirit of their players which has helped in increasing the team's popularity. The Rainbow nation has nearly 350,000 followers on Instagram and the team even has its official hashtag #ProteaFire, which is used by them in the caption of their posts.